I can picture the readers’ puzzled faces as they read the headline. Is it possible that a journalist did not enjoy a movie about one of the most defining journalistic moments in history? Why? Because it wasn’t about journalists, but instead about a socialite and her struggle to do her job, which was to allow journalists to do their job. The Pentagon Papers was the name given to the classified Department of Defense study of American involvement in Vietnam from 1945 to 1967. By 1968, more than 500,000 U.S. troops were in Vietnam. Military analyst Daniel Ellsberg — who had worked on the study — witnessed first-hand that the war dragged on without positive changes, while the government was convincing the public that U.S. troops were successful. Shocked by the government’s false propaganda, Ellsberg came to oppose the war, and decided to make the papers available to the people. Directed by Steven Spielberg, the movie starts with a scene in Vietnam, showing how the government’s accounts distorted the truth. Ellsberg secretly photocopied the report, page by page, and gave it to The New York Times (NYT), which then published a series of articles based on the report. Nixon’s administration ordered the newspaper to suspend further publication, and when the NYT refused, the lawsuit on the grounds of the First Amendment and prior restraint was later heard in the Supreme Court; the NYT won. 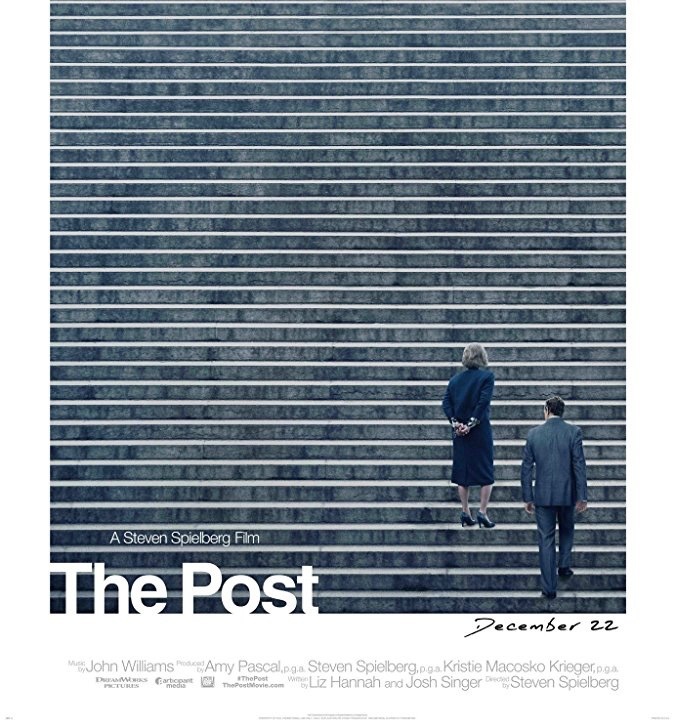 The best part of the movie was seeing two of Hollywood’s biggest stars on screen together: Meryl Streep as Katharine Graham, the publisher of the Washington Post and Tom Hanks as Ben Bradlee, the executive editor of the paper. Their talent is unquestionable; but was the movie about Graham and Bradlee or the Washington Post and the Pentagon Papers? This is the question I kept asking throughout the entire movie. So much of the movie is about the main protagonist (Graham) going back and forth, thinking about what would happen to her reputation, reminiscing about her past in the close circle of the White House elite; in the meantime, this major crisis that would determine the future of American journalism is taking place, and she can’t seem to decide what to do next. “Kay [Katherine Graham] is in a position of risking her fortune — that’s brave,” Bradlee’s wife Antoinette Pinchot said at one point. Yes, it was, but you have to remember, that was also her job. She had to choose between losing the paper or serving the public, and well, we all know that she chose the latter and managed to keep the paper — journalistic integrity prevailed. The biggest nightmare for a reporter is working hard on an article, having it ready to go to print and having an editor’s indecision to publish it hold up the entire process. Luckily, that nightmare didn’t come true in “The Post” and in history. But it sure made me wonder how much the journalists must’ve sacrificed for this, and the agitation and pressure they must’ve gone through when they were assigned to report on the Pentagon Papers. I wanted to know what it was like for reporters to let go of their work and pass it to the hands of Katharine Graham, a socialite turned publisher, someone who had never reported news. Ben Bagdikian, former Washington Post national editor, played a key role in publishing the Pentagon Papers. He is the one who personally couriered two boxes of Pentagon Papers from Boston to Washington D.C. and in the movie, he is seen buckling the plane seat belts of the two “priority seat” boxes. In real life, Bagdikian famously stated, “the only way to assert the right to publish is to publish,” but in the movie, that quote was attributed to Bradlee (Hanks). By doing that, Spielberg downplayed the role of Bagdikian and other Washington Post reporters who were instrumental in the release of Pentagon Papers. Yes, this is an important event in U.S. history, and so much of it relied on Graham and Bradlee’s shoulders. But do not devalue the work of the reporters’, the lawyers’ and more so, the role of the NYT in all of this. It was Ellsberg and the actual reporters who for days worked tirelessly on carefully crafting a story for the reader; Graham delivered it, and the whole movie revolves around her struggle to do just that — deliver.